Update from Sarah Jane, September 21, 2018: Dr. Ford continues to negotiate the terms of her appearance. The GOP continues to act bull-headed. 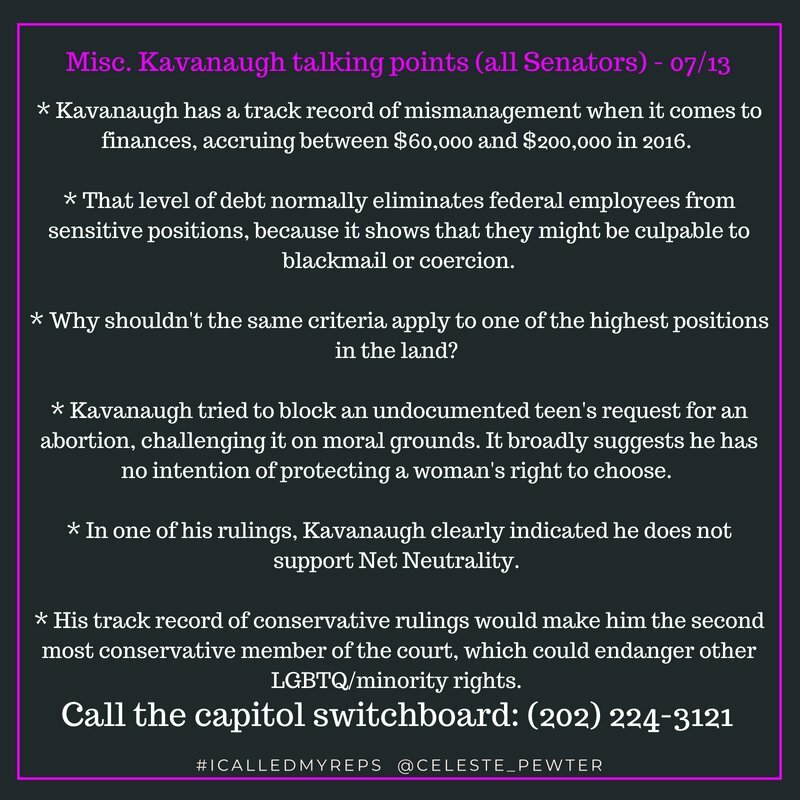 The answer, as it has been for weeks, is keep calling your Senators, and keep urging friends and family to call their Senators. 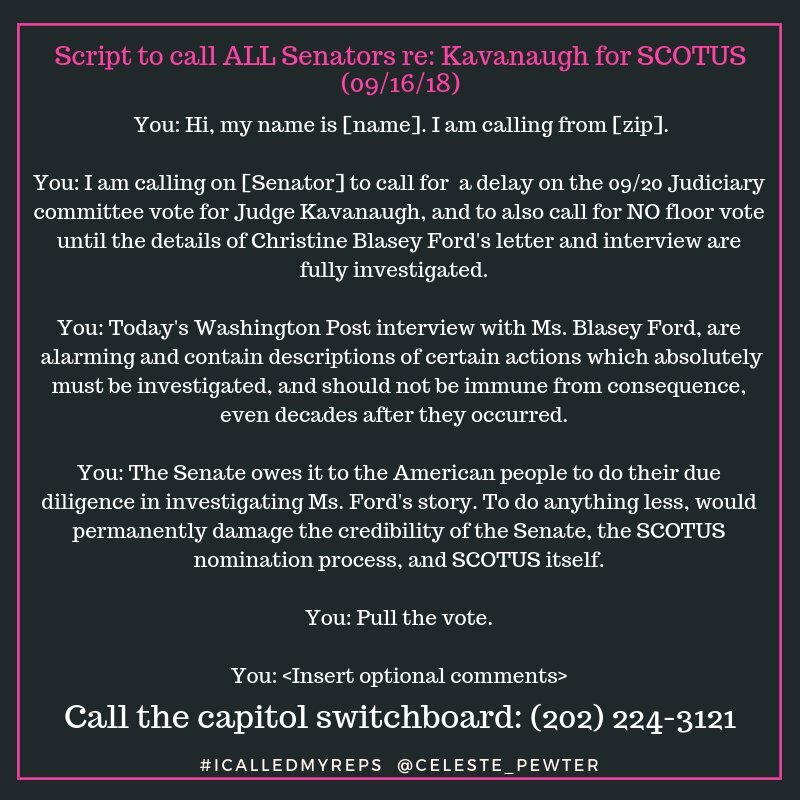 This will be your weekend homework as well–leaving voicemail about this issue. 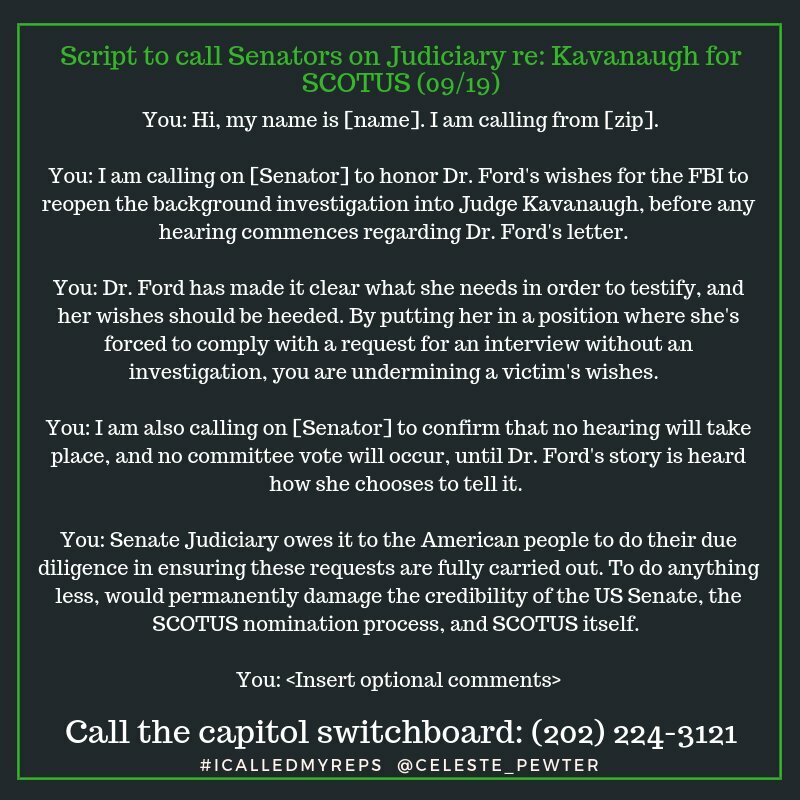 Here is a calling script Celeste Pewter (@Celeste_Pewter on Twitter) wrote yesterday to use with all Senators. 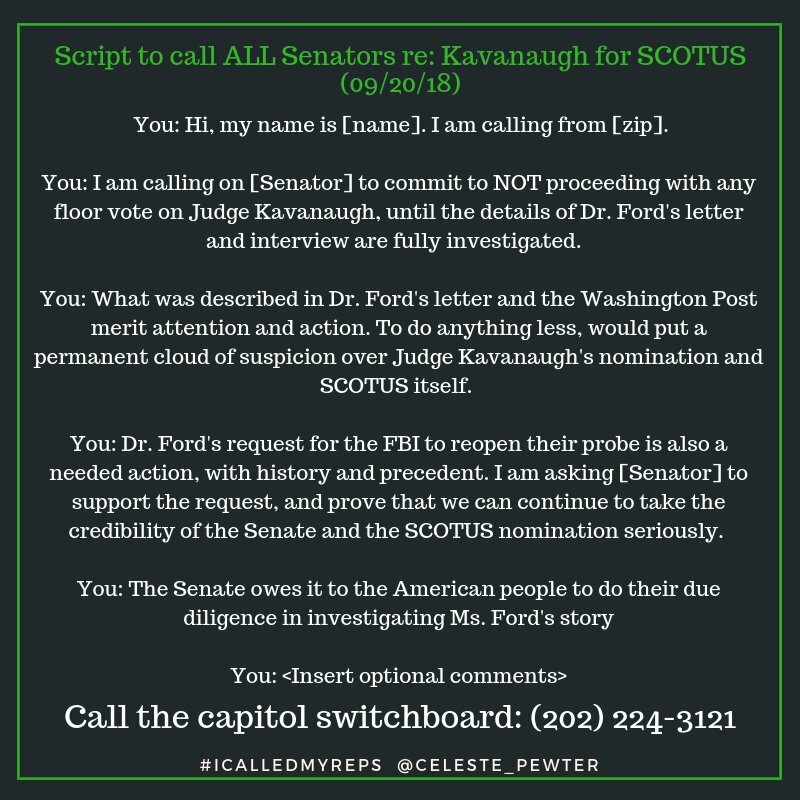 If either or both of yours serve on the Judiciary Committee, scroll down a bit for a special script for them.